Take a piece of Elora home with you. 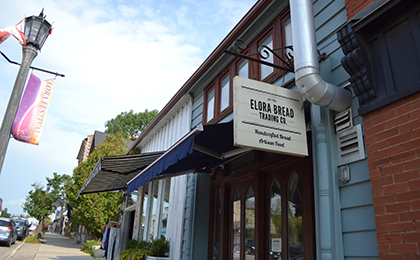 The Elora Bread Trading Company is a small-batch artisan bakery with a hands-on approach to bread making. Using traditional methods, all their breads are handcrafted on site using quality organic, natural and local ingredients. Cultural and historical inspired recipes round out the menu. Baked fresh every day, the shop smells as good as the breads taste. Get there early and grab a slice of Elora life.